Brady – Manning XVII… AFC Championship Game with a spot in Super Bowl 50 up for grabs… Let’s do this. The Patriots’ quick passing game was revitalized by the return of Julian Edelman against the Chiefs. Kansas City’s great pass rush was shut down despite facing a badly overmatched offensive line. Brady was able to once again get the ball out of his hands quickly, resulting in an impressive offensive showing. Brady was neither sacked nor hit one time. Those quick routes and reads will need to be there again on Sunday afternoon when Brady will again be facing a top notch pass rush with Denver throwing Von Miller, DeMarcus Ware, and surprising standout defensive end Derek Wolfe into the mix. The Broncos have the NFL’s best defense and they have the advantage of knowing exactly what they’re going up against. 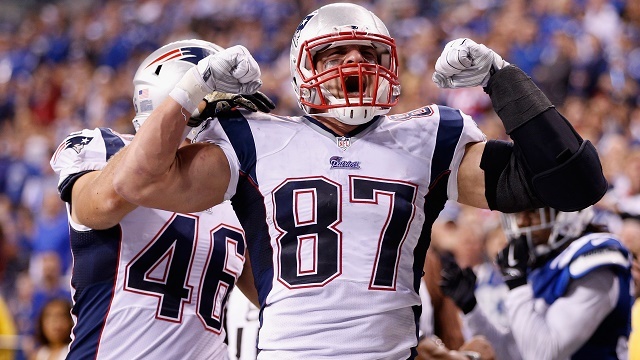 New England’s offensive greatness depends entirely on three players: Tom Brady, Rob Gronkowski, and Julian Edelman. Containing those three players is the key to any game plan that could hold New England under 25 points. That’s much easier said than done, however, as Tom Brady and Julian Edelman have a remarkably good understanding of where and when the receiver and football need to be and Rob Gronkowski is simply better at playing tight end than most anyone at most any position in the NFL. To make matters worse for the Denver secondary, Gronk and Edelman are two of the League’s better players after the catch and open-field tackling has been the only spot of weakness on the Denver defense this year. The game plan for Denver’s defense will be the same as Kansas City’s last week and either Arizona’s or Carolina’s will be in the Super Bowl should the Patriots advance: slow Edelman and Gronkowski down at the line of scrimmage to give your pass rushers the extra half second they need to get to Brady. We’ll see on Sunday if Denver is up to the task. How sad it is to be writing about a Brady-Manning AFC Championship and having to explain that Denver’s goal should be to minimize Peyton Manning’s role in the proceedings as much as humanly possible. Simply put, the Broncos offense has not been very good as much of anything this season and Manning has been one of its weakest links. Denver will come into this game with a rather average offensive line against a very good New England pass rush. Keeping Manning out of obvious passing downs will be important for Denver. If Manning is forced to make plays on third and long with any frequency, New England can send their blitz packages onto the field and 2016’s Peyton Manning is one of the least mobile quarterbacks in recent memory. Denver would have a much clearer path to points in this game if they were just a little bit better at running the ball than they are or if New England was a little bit worse at stopping the run. Unfortunately for Broncos fans, those two units appear pretty evenly matched. Unless Mrs. Manning got a fresh shipment of water from the fountain of youth this week and Peyton Manning circa 2010 reappears on Sunday afternoon (don’t completely rule it out), Denver has to win the ground game. If they don’t, it’s going to be exceptionally difficult for them to score as New England’s secondary has been a bright spot and looks to have an advantage over Manning in his advanced age. 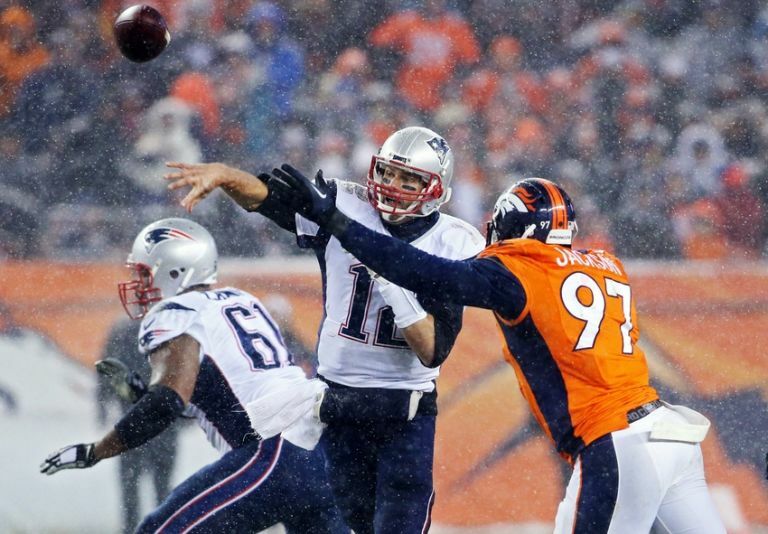 Brady is regularly able to get the ball out of his hands quickly again, neutralizing the Denver pass rush. 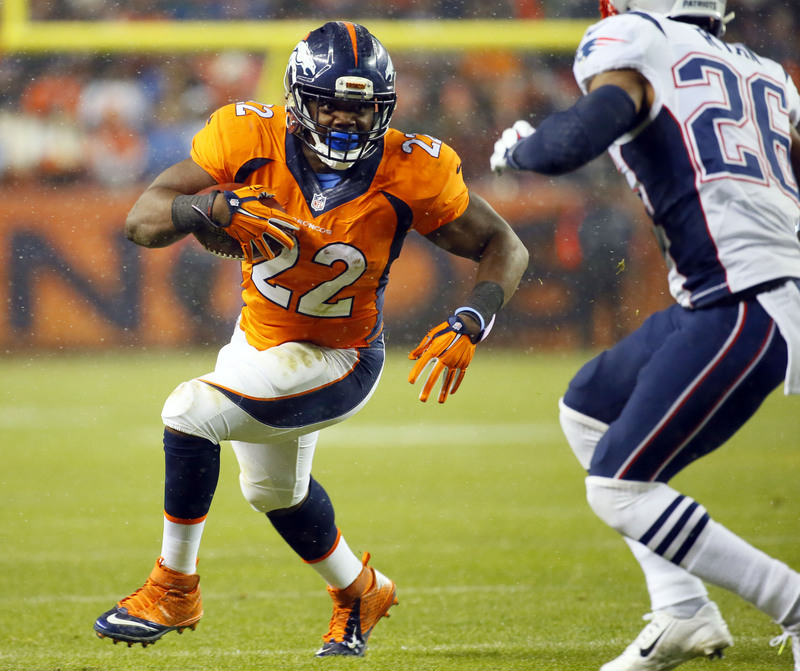 New England’s run defense is able to keep Ronnie Hillman and C.J. 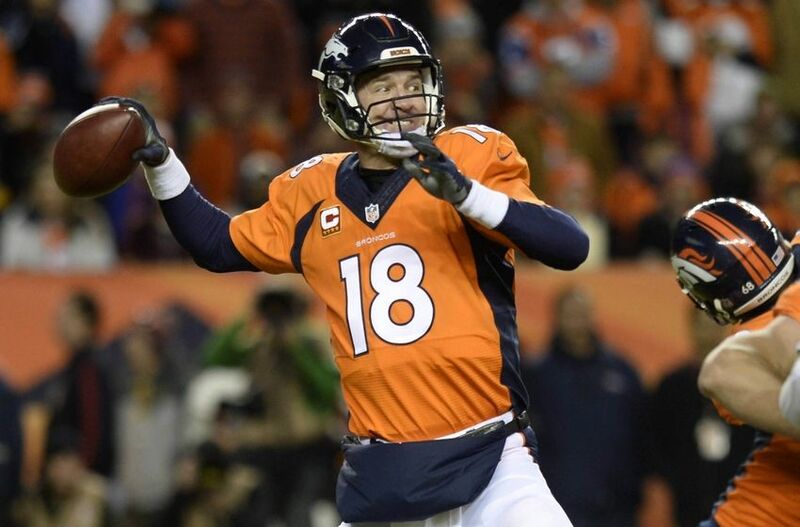 Anderson at bay and force Peyton Manning to convert tough down-and-distance scenarios. Edelman gets 9+ catches again as New England is able to move the ball, even against a very good defense, and Denver cannot keep up. The absence of any pretension that New England might run the ball gives Miller, Ware, and the Denver front 7 to focus 100% of their attention on Brady. The Denver secondary is physical enough at the line of scrimmage with New England’s receivers that Tom Brady is frequently under pressure. The Denver offensive line puts forth an inspired effort in the run game, opening paths for Hillman and Anderson. And Peyton Manning puts forth a solid effort, avoiding any game-changing turnovers. Denver’s defense holds Brady and Co. to 17 points and the offense gets past that number. It’s really hard to get around the feeling that New England is going to score, just like they do against everyone else when Brady, Gronk, and Edelman are on the field, and that it’s hard to see when Denver’s points are going to come from in this game. Even in that rosy scenario I just painted for the Broncos where the defense holds the Pats to 17, 17 points might just be enough to do it against these Broncos. The Patriots get past 25 points and Denver won’t keep up. Patriots win, and Brady and Belichick play for ring #5 in two weeks.